In 1997, French geologist Guy Martini and Greek geologist Nicolas Zouros met at the International Geological Congress in Beijing. The congress included a special session of the burgeoning concept of geological heritage. So inspired were Martini and Zouros that they decided to work together to secure support and resources in the European community for the preservation of geologically unique sites  thus beginning the European Geoparks Network. 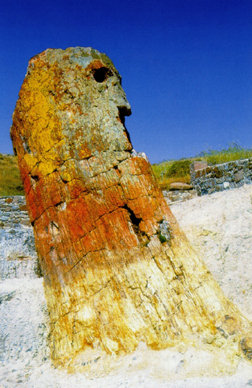 The Lesvos Petrified Forest in Greece became a Geopark in September 2000, 15 years after it gained presidential protection as a natural monument. The 15,000-hectare Geopark has a large variety of fossilized plant species and a large accumulation of standing and lying petrified tree trunks  revealing past volcanic activity 20 million years ago that covered the forest in pyroclastic material. Photo courtesy of the Natural History Museum of the Lesvos Petrified Forest. Now 12 parks strong, the network spans Ireland, France, Spain, Italy, Greece and Germany, with scenes ranging from petrified forest to coastal cliff. 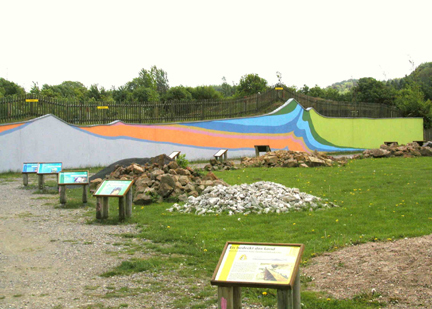 Local parks have garnered public support. The European Geopark designation for the Lesvos Petrified Forest in Greece, for example, boosted park visitor numbers by 20 percent. Still, the Geoparks are working with their communities to better promote the sites. "Geotourism is a very new and unknown activity in this region," says Nelly Larent of the Association Pierre de Lune which manages the Geopark Rochechouart-Chassenon Astrobleme in France. The total area of the Geopark is about 88,000 hectares over 39 communities, although only about 20 percent of it has legal protection. Working with local businesses, Pierre de Lune is hoping to spur more interest in the area through a cultural-based program that shows the relationship between local economy and geology, she says. "This approach will bring together agriculture, crafts, commerce, industry, culture and nature. It will also involve encouraging the creation of products associated with geology." 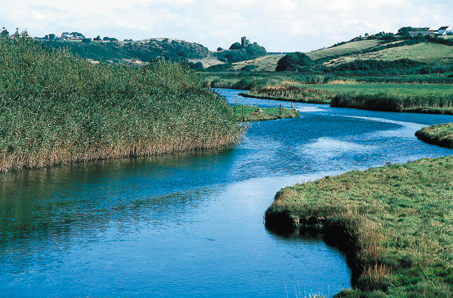 The European Geoparks are also working closely with UNESCO to connect to the rest of the global community. Under an official UNESCO agreement, the European Geoparks Network is an experimental tool for the concept of geoconservation in Europe. Sharing common goals, they are collaborating to educate the public at large on environmental issues and to promote regional sustainable development and scientific research in geologically unique areas. The Copper Coast stretches 18 miles across the coast of Ireland, reaching inland up to 2 miles in places. This European Geopark, established in 2001, represents a scenic cross-section of coastal cliff, featuring various phases of sedimentary and volcanic history as the area drifted from southern Antarctica to its current position at 52 degrees north latitude, says Karen Tobbe of the Copper Coast Geopark. Visitors can tour through the medieval towns of Waterford and Dungarvan. Seen here, the ruin of the medieval parish church of Dunhill sits adjacent to the historic Dunhill Castle overlooking the Anne Valley in the Copper Coast Geopark. Photo courtesy of the Copper Coast Geopark.